Wiberg, N.; Díez, P. Preface. 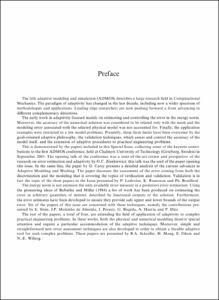 "Computer methods in applied mechanics and engineering", Gener 2006, vol. 195, núm. 4-6, p. 205-206.